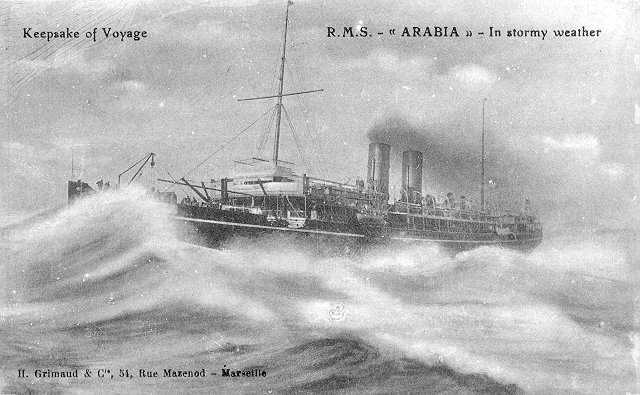 Built by Caird & Co. of Greenock, Arabia was launched in 1897. 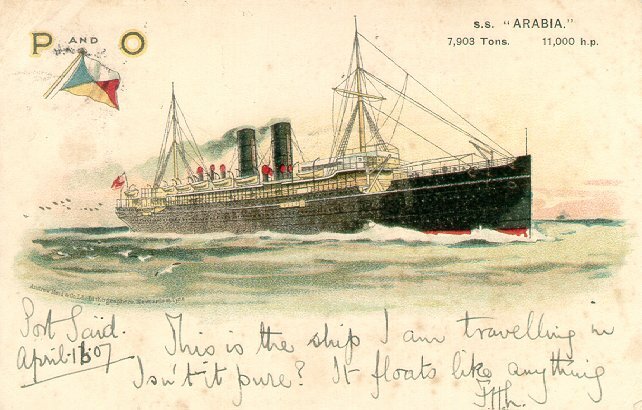 She entered P&O's India service on 12 March 1898, the last single screw steamer in that service. Arabia was torpedoed about 112 miles (180 km) southwest of Cape Matapan on 6 November 1916. Although the ship sank within 20 minutes, all but two (Williams) or 11 (Haws) of the 723 people on board were saved. Sources: Williams' Wartime Disasters at Sea; Haws' Merchant Fleets in Profile.